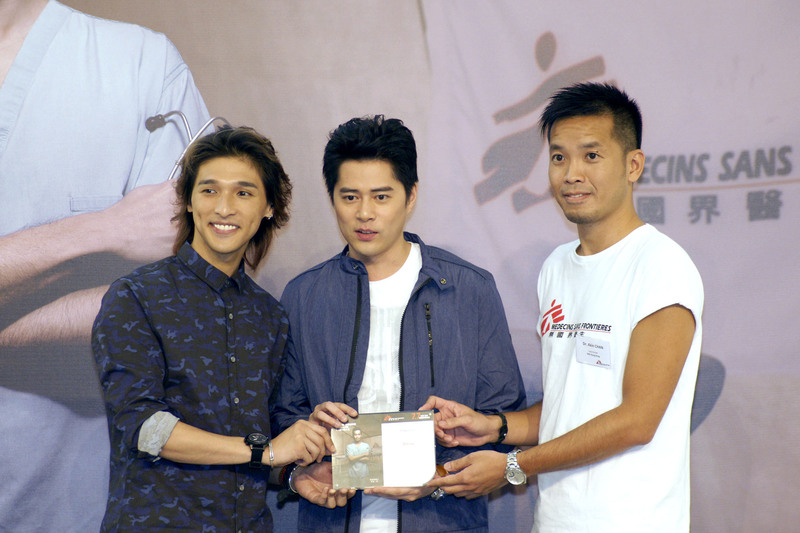 Today is MSF Day, the annual fundraising event of Médecins Sans Frontières (MSF) Hong Kong. Cantopop duo Shine and the famous TV programme host Ms. Helen Tam were invited to be the Principal Guests of this year’s MSF Day. 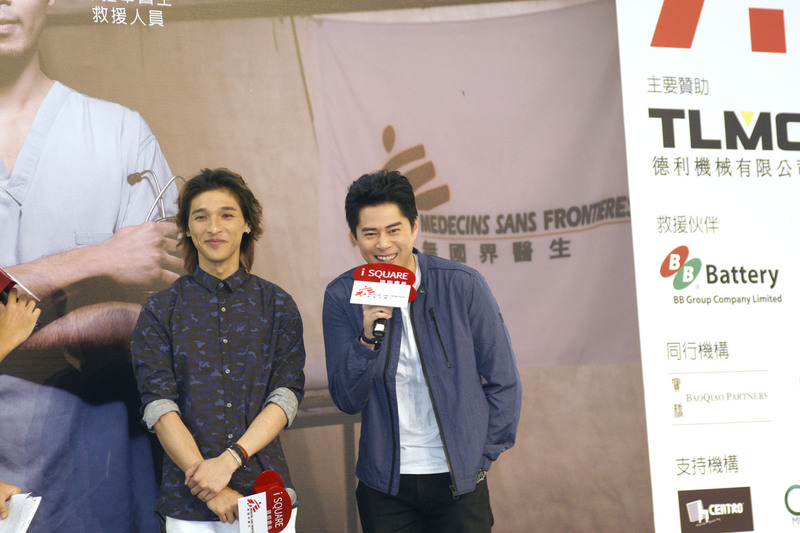 They attended the MSF Day 2016 Finale, which was held at iSQUARE in Tsim Sha Tsui today, and called for public support to donate a day’s income for MSF’s global medical humanitarian work in more than 60 countries. The event has raised a record-breaking amount of HK$7.6 million. In the Finale, Shine and Helen, joined by MSF’s representatives, thanked all the companies, schools and individuals who took part this year. They also listened to Dr. Akin Chan, MSF’s field worker who has been to Pakistan and South Sudan, to learn more about MSF’s front line work and challenges. Although they are not field workers, they were very happy to have the opportunity to support MSF, and hoped people in Hong Kong would respond to their appeal and take action for MSF Day. Mr. Rémi Carrier, Executive Director of MSF-Hong Kong, said in his speech that MSF conducted more than 8 million consultations, treated over 180,000 malnourished children and performed more than 100,000 major surgeries in the year of 2015. The key for these medical activities to take place is MSF’s financial independence, particularly in conflict zones like Afghanistan, Yemen and Syria. He thereby expressed his gratitude to all MSF Day’s participants, for support from them and more than 5.7 million private donors all over the world has enabled MSF to provide medical care where it is needed most. Officiating guests, including Shine and Helen, created a symbolic cheer for MSF’s field workers by putting their inflatable plastic batons, thunder sticks, into a small tent as a gesture of support for those who work in medical facilities on the front line. This year a total of 92 organisations from the public and private sectors, 14 government departments and more than 9,100 individuals support MSF Day. Moreover, 558 students from 175 kindergartens, primary and secondary schools were recruited as Student Ambassadors of MSF Day to help raise awareness amongst their friends and families about humanitarian work. 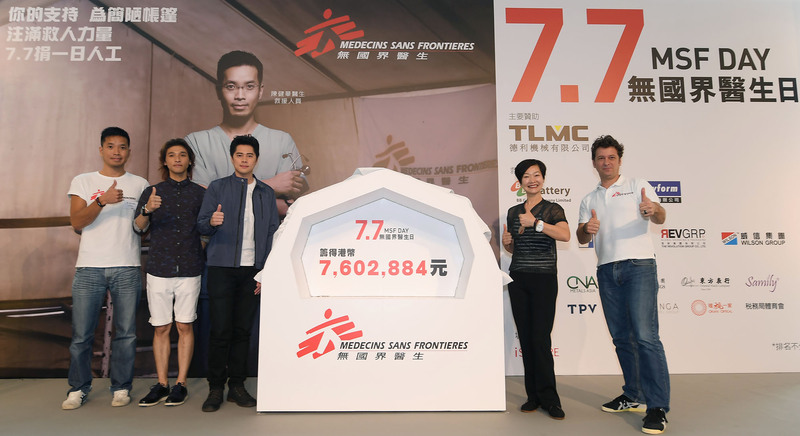 From today to 7 August, Hong Kong people can donate through the event website (https://ssl.msf.hk/msfday/en) to support MSF Day and volunteer for MSF. All participants will be given an MSF Day bracelet as a recognition of their volunteering spirit. Special thanks to the Key Sponsor Tak Lee Machinery Co. Ltd.; Medical Action Partners BB Group Co. Ltd., Consolidated Marketing Group International Wealth Management Limited and Rayform Limited; Field Supporters BaoQiao Partners Capital Limited, New Plaza Garment Factory Co. Ltd., The Revolution Group Company Limited and Wilson Garment Accessories (Int’l) Ltd.; and Supporting Companies CENTRO DESIGN & FURNITURE LTD., CNA Metals (Asia) Ltd., Dah Chong Hong Holdings Limited, Oriental Watch Holdings Limited, Samily Home Company Limited, Tai Shing Group (Holdings) Co. Ltd., TPV Technology Ltd., Ubisoft Limited and Winga Apparel Group Limited.